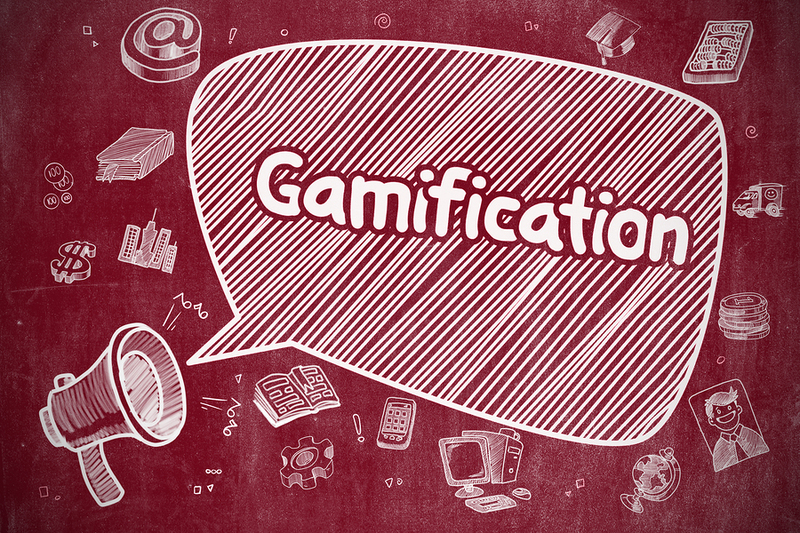 If you’ve been reading anything about web or workplace trends, you’ve likely come across the idea of gamification. Video games have changed dramatically over the past few decades, and the appeal isn’t lost on marketing professionals. Incorporating aspects of games into website design can keep visitors entertained, engaged, and delighted with your site and content. However, it’s vital to consider several factors before adding game elements. There is no one-size-fits-all solution for gamification; every brand will have unique factors. While gamification can apply to marketing campaigns, this approach typically focuses on selling rather than engagement. Gamification in web design seeks to include elements of games such as scoring points, completing quests or missions, clearing levels, accomplishing objectives, and even competition. Generally, most games have players and a game world, and the players either interact with or act upon the world. Some games allow for interaction with and action upon other players. Think about which format would work best and then brainstorm game elements that fit your brand. Many companies have generated lots of enthusiasm through leaderboards, social media, and timed events. Every company will have unique opportunities, but it’s important that whatever elements you include resonate with your business strategy and mission. There is no “right” way to gamify your website. Simply look for opportunities to add elements of games to your website and encourage visitors to explore what they can do. Your method of gamification may simply be stunning visual storytelling without any deep interactions. Develop a strategy based on your content, business goals, and customer preferences. The following are a few simple ways to include game elements in web design. Think about what you could incorporate in your own web design to encourage engagement and delight your website visitors. When you incorporate game elements into your business website, you generate interest and subtly encourage visitors to see how much they can manipulate. Many people find testing the limits of the game one of the most engaging parts of playing them. Consider an onboarding campaign for a new product line. When customers connect for instructions, they only see a few options. As they investigate each option, more appear. The customers will naturally want to investigate what they’ve unlocked and see which actions unlock more content. The downside to keeping content locked behind a progression structure is that some visitors may know exactly where they need to go and don’t want to bother clicking through various menus. Consider adding a simple sitemap or toggle so users who aren’t interested in playing can get where they need to go. However you configure it, simply make sure your game elements don’t block visitors from engagement. Whatever game elements you incorporate should encourage interaction, not force visitors to interact. While the quality of your content remains paramount, it’s vital to deliver content in meaningful ways. People innately seek logical progression. Psychology is at the root of any content delivery strategy: you need to repeatedly capture your audience’s interest. Most games feature some kind of progression. Typically, you start in an introductory phase to get you acclimated to the game and its rules. As you progress, you learn more about the game’s parameters. Eventually, the game feels natural. Before too long, it may even grow boring. As we seek logical progression in what we consume, as soon as we focus on and identify a new element, our attention starts to dwindle. The human mind is extremely quick to notice and focus on a newly introduced visual element. It’s vital for marketers to capitalize on the spark of discovery – encourage moments where the user suddenly notices or realizes something new and incentivize them to investigate. A content delivery strategy hinges on consistently providing useful and relevant content to recipients. If you don’t take the time to understand your audience, your content will fall flat. You can use game elements as tests for which types of content work best for your audience. Your customer profiles and prospecting processes should help you devise a great content delivery strategy to your customers, and incorporating game elements can keep the interest going. Human beings are also social creatures, and you can encourage socialization and even competition using game elements. Many companies have loyalty programs or rewards benefits for repeat customers. Not only is this capitalizing on the idea of scoring points, but displaying rankings can subtly encourage more visitors to earn more points than they would otherwise. Some companies even have tiered memberships based on points earned. Social media is an undeniably powerful marketing force today, and you can use gamification to expand your influence in fun and engaging ways. Make your content more shareable, and consider adding ways for customers to interact with one another. For example, you could have a message board on your company website to allow customers to engage with one another. People naturally want to share their good (and bad) experiences with their friends and relatives, so encourage them to participate. It’s important that you don’t go too far with gamification. You’re not creating an entire game; you’re adding game elements to your overall design. One of the most important scientific concepts referenced in web design is cognitive fluency, or the brain’s innate preference for simplicity. Striking a balance between stimulating and incentivizing is crucial for creating more engagement. Pique your website visitors’ interests without overwhelming them with stimuli. Always keep the most valuable content readily available for any visitor. Remember that your website visitors expect a business website, not a flashy game site. Keep things simple and you’ll be sure to capture their attention. With high quality content, you’ll be able to keep it. Thoroughly developed customer profiles are invaluable to marketers. It’s crucial to have a firm understanding of your target audience, their pain points, desires, and level of commitment to your brand. When you create well-defined customer profiles, it’ll be much easier to develop content suited to their preferences. The same applies to gamification. Some elements may not appeal to everyone, and creating different elements that resonate with different types of customers will yield the greatest success. The human mind is naturally curious. People are constantly looking for more information and appealing to the human sense of discovery can be a great way to incorporate game elements into your website design. The onboarding system is a great example: pose a problem for your visitors and offer them the tools they need to solve it. Encourage testing and play to find the desired outcome, and then reward them for finding it. This approach is going to engage various customer types. Some diehards will be sure to explore every possible choice, while casual visitors will be delighted with a fun distraction. If you deliver more information, more content, or more control as they make progress, this will naturally encourage them to continue. Think of ways you could tell your company’s story through game elements and exploration. The desire to learn will keep visitors lingering for more. Ultimately, how you decide to approach gamification will be entirely unique to your business model. 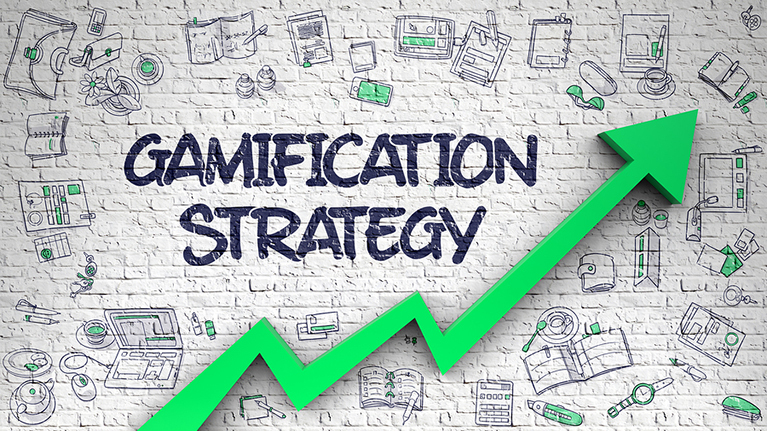 Every company has different concerns and appeals to specific types of people, so it’s vital to develop a comprehensive strategy for gamification. Something as simple as a rewards program or visual novel about the history of your company may be enough to delight and engage your audience, while other companies may want to take things further and develop more robust game elements for their customers. Whatever route you choose, track the metrics that will display your success. Eventually, you may find your marketing team playing your own game of finding the lowest-performing areas of your marketing efforts and bolstering them. 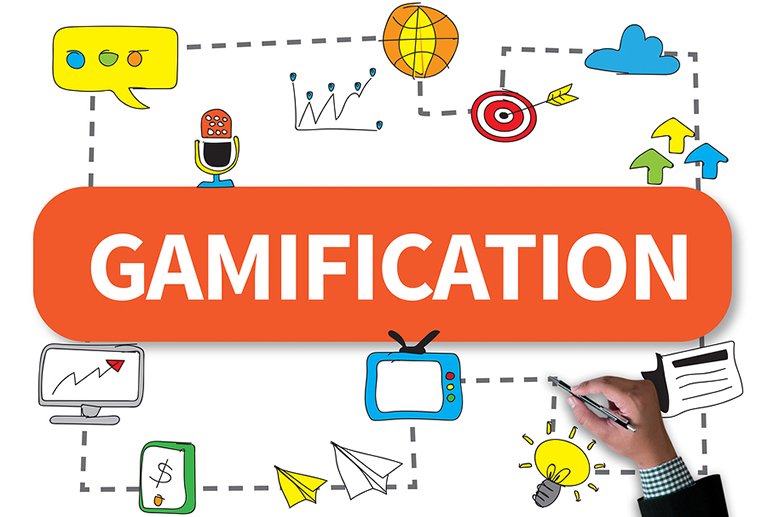 Gamification requires balance, thoughtful strategy, and a format that resonates with your customer base. Consider how to incorporate game elements in your website design and your audience will enjoy the break from the norm and want to explore what else you have to offer.